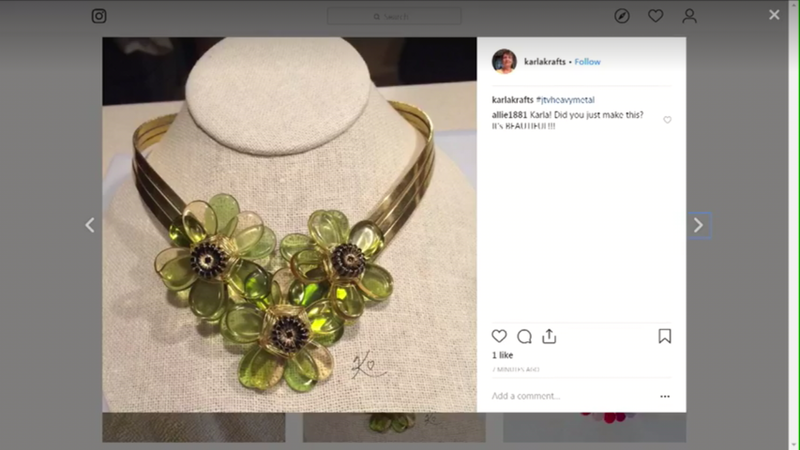 Alicia and Katy shared my necklace on jtv.com/extra on Wednseday! The hashtag was heavymetal. It’s at 1:07, approximately, into the show. Katy commented on my signature. The flowers were inspired by Susan Thomas of JTV.